Travel in India is challenging. In an effort to accommodate more visitors & in the name of infrastructural development, some remote areas & tracks are blasted, bulldozed, drained and bridged. While we absolutely understand that some track work is necessary, we try to provide as close to a natural experience as possible. While the old adage about "leave only footprints" may be applicable in some places, here it is not appropriate. For us, off the beaten path comes with a heavy responsibility. Any traffic (foot or motor) can have a destructive effect and we not only do what we can to avoid and minimize any damage but we try to give others an appreciation of how fragile this can be for our Lifeline: The Environment. Waste is dumped in accordance with the natural surroundings. We leave no plastic waste at any of our camp sites. Any bio-degradable waste is dumped and buried in a pit, wherever there is an opportunity. We also encourage our guests to help us clear the walking and hiking areas while on the move. Keep picking plastic & non-bio degradable waste & store it in a bag carried by our Tribal Navigator, which is later dumped at an appropriate place. We are dedicated to providing a self powered wilderness & cultural experience. While we accept that motorised travel is a fact of life for transport and access, We only are looking forward to a highly sustainable mode of Travel: On Foot. We believe that through sharing an understanding of our extraordinary culture & natural resources we can help reduce the adverse effects that humans have on the wilderness areas. We believe that it is possible for tourism and wilderness to coexist, but only within very narrow boundaries. Only by constantly examining and improving our wilderness practice, can we hope to retain our land’s unparalleled beauty. 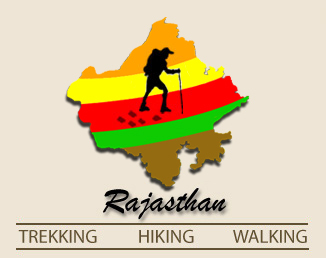 Rajasthan Trekking is owned and operated locally. From our guides to the excellent local accommodation and transport operators, we are all part of local culture. We all are working to see that these communities remain the beautiful paradise they have always been. We adopt a “carry it in – carry it out” policy and pick up litter left by others. You’ll learn minimal impact walking techniques that will ensure you take nothing but photographs and leave nothing behind other than footprints. We provide fresh & warm lunch wherever we can. We actively dispose as much waste as possible. On group tours, we provide reusable plastic cups for drinks and provide snacks in bulk containers. These are some of the initiatives we have undertaken to reduce our carbon footprint. We advocate staying in local communities, enjoy eating in local restaurants and visit local attractions. In this way, more of your travel money benefits grass roots tourism. But again, it’s a choice to be made by Travellers & we are not strict & adamant if they want their choice of accommodations, food or Transport. The frequent droughts, enormous biotic pressure, lopping, encroachments, lack Of well distributed water sources and above all the fragmentation of habitat has resulted into disturbed food chain. These factors coupled with ever increasing demand of forest land for mining activities keep haunting the manager of the protected area. 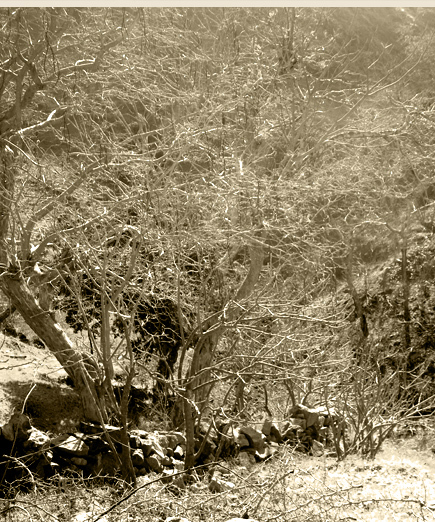 Illegal Mining is one of the biggest parasites of this Magnificent Hill Chain & Bio-Diverse Mountains of “ARAVALIS”. The resource development needs to be taken up by involving the local community in planning and management. Eco-development activities must be planned in order to meet the basic needs of the people and to reduce pressure on the resource. The major activities include provision of drinking water, fodder development, soil and water conservation, alternative sources of energy, agricultural and horticultural development and various income generating activities. The picturesque hills of Udaipur, Ranakpur-Kumbhalgarh, Bundi and Mount Abu areas interspersed with nallahs ( Rivulets & natural water channels) and green vegetal cover, long wooded treks and rocky terrain form an ideal hunt for nature lovers, adventure groups for trekking, hiking & walking and other eco friendly adventure activities. Organized eco-tourism is not in existence but the nature education is a well taken activity for tourists & also acts as a measure of awareness, interpretation and conservation education.